Let Traverse Traveler be your guide. Planning a Traverse City vacation? 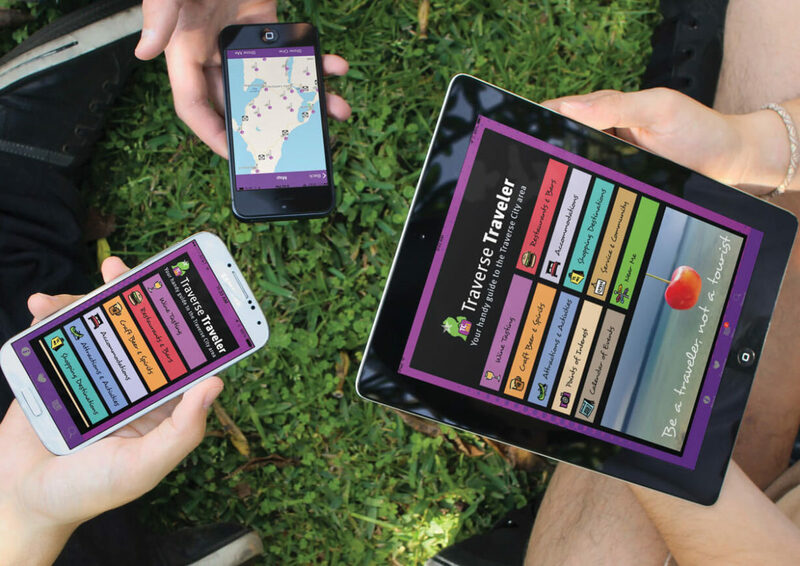 Download the Traverse Traveler app and discover the best wineries, dining, shopping, lodging, breweries, attractions, and entertainment with your handy guide to the Traverse City area. Advertise your local business on the Traverse Traveler App! The Traverse Traveler App is an easy, affordable way to promote your business to area visitors. We believe hospitality means sharing the best of what you have with others. It’s our passion and our privilege to turn tourists into travelers by showcasing the best northern Michigan has to offer.